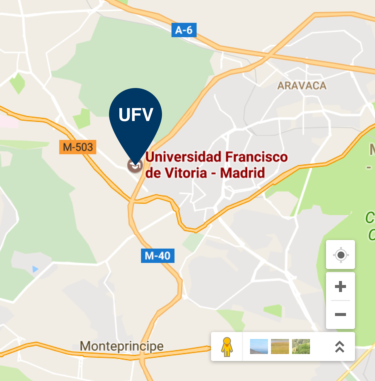 Locations: Francisco de Vitoria University, Pozuelo de Alarcón, Madrid, Spain. Aimed at: All nursing professionals. María Mercedes Gómez del Pulgar García-Madrid. President of the Scientific Committee. General director of the Spanish Institute of Nurse Research. Associate professor at Francisco de Vitoria University. Almudena Crespo Cañizares. Scientific Committee Secretary. Lecturer at Francisco de Vitoria University. Ana Pérez Martín: President of the Organising Committee. Alina Renghea: Organising Committee Secretary. María Alonso González: Organising Committee Spokesperson. Dámaso Rodríguez Serrano: Organising Committee Spokesperson. Juan Antonio Sarrión: Organising Committee Spokesperson. Sara Solana Blanco: Organising Committee Spokesperson. Beatriz Carreto García: Organising Committee Spokesperson. Beatriz Castillo Martín: Organising Committee Spokesperson. Laura García Rebolledo: Organising Committee Spokesperson. Submit abstracts: 15 July 2019. Abstract acceptance notice: the principal author will be notified by 16 September 2019. Important: Oral communications and posters that have been accepted will be eliminated from the Congress if the principal authors have not registered by 15 October. Read the full guidelines for submitting abstracts. Develop the abstract in a Word document, using one of the templates attached, depending on the type of abstract. To download a research template, click here. To download a health education programme, click here. The file must be saved in Word and the document, along with the summary of the work, must be named using the ID number or passport number of the principal author and emailed to the following address: congreso.enfermeria@ufv.es. Submit the submission form ‘Abstract submission’ (click here for the form). Only abstracts which are submitted using the correct template and which fulfil the guidelines will be considered. It is also essential that the ‘Abstract submission’ form is completed on the same day that the abstract is submitted by email. 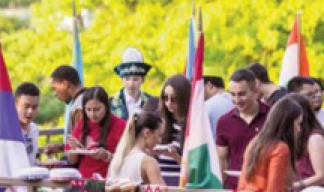 The Congress offers two participation methods: Oral Communications or Poster. End of master’s or speciality. Clinical Nursing and comprehensive care research. In the first three categories you can send your summary if you are studying these studies or have completed them in the last 5 years. In the last categorie your researche must be ongoing or have been completed in the last five years. Abstracts may be submitted in Spanish, Portuguese or English. We recommend carefully reading the guidelines for submitting abstracts, as failure to comply will result in the abstracts not being considered by the Scientific Committee. Download the full guidelines by clicking here. Title:consistency with the content of the work. Structural criteria of the abstract. Content criteria:internal consistency between objectives, methodology, argument, results and conclusions. Originality and scientific value of the work. End of master’s or speciality work. The Congress fee includes: congress materials, dinner on 16 November and breakfast and lunch on the 17 November 2018. IMPORTANT: Please note that fees are non-refundable if participants are unable to attend the Congress. The Francisco de Vitoria University campus is located in Pozuelo de Alarcón, a residential district close to Madrid, on Highway M-515, which links Pozuelo de Alarcón with Majadahonda. See the Access Map for your first visit (click here). NOTE: A FREE SHUTTLE BUS WILL BE AVAILABLE FROM MONCLOA (MADRID) TO THE UNIVERSITY. IF YOU WOULD LIKE TO USE THIS SERVICE, PLEASE INDICATE THIS ON YOUR SUBMISSION REQUEST FORM. FURTHER INFORMATION TO COME. If you have a GPS, use the following coordinates: N 40.43879º, W 3.83662º From the Carretera de Castilla: Exit Pozuelo-Majadahonda and, after four roundabouts, take exit 13 (M-515). Via the M-40(from the A-5): Exit 40: Pozuelo (M-503) and follow signs for the M-515. (From the A-6): Exit 41: Pozuelo (M-503) and follow signs for the M-515. Via the A-6: Exit 11 to M-40 (signposted Badajoz N-V), take exit 41 on the M-40: Pozuelo (M-503) follow signs for the M-515. From Moncloa: Bus no. 657. From Aluche: Bus nos. 561, 561-Aor 561-B. From Majadahonda/Pozuelo(circular routes): 650, 561, 561-A or 561-B. Here is a Campus Map for your arrival (click here). 20 euros per person in a 6-bed room. 90 euros for a double room. 90 euros double room (single use). Location: Next to the Moncloa bus/metro station. Very close to the complimentary shuttle bus stop for the Congress. 93 euros for a single room. 93 euros for a double room.